For Veterinary &amp; Laboratory use only. 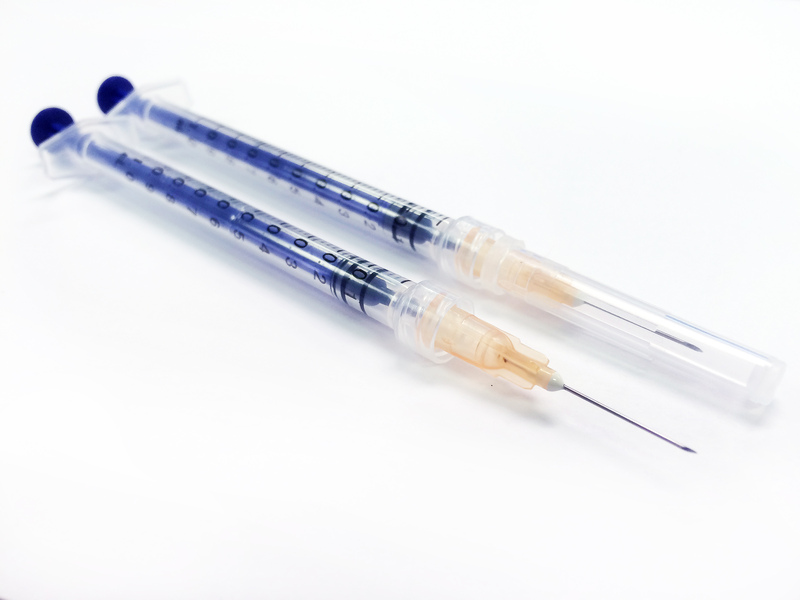 Air-Tite Brand syringes with mounted needles are of the highest quality, yet are economical. Manufactured in China to our exacting specifications. Packaged in individual sterile poly bags. 1ml x 25g x 5/8" 3ml x 18g x 1" 3ml x 20g x 1" 3ml x 20g x 1-1/2" 3ml x 22g x 3/4" 3ml x 22g x 1" 3ml x 25g x 5/8" 5ml x 18g x 1" 5ml x 20g x 1-1/2" 10ml x 18g x 1-1/2" 20ml x 18g x 1-1/2"
Take advantage of a bulk discount (save $1.50 per box) by ordering by the case instead of by the box (10 boxes per case).